The day before our Executive Chef, Anthony Prontelli, appeared on NBC’s Sunday morning show to share his steak recipe, I got to sample the dish. It was so amazing I had to make sure you all got the recipe too! The show segment also featured a master mixologist, who showed us how to make a Sapphire Collins that perfectly compliments the steak dish. 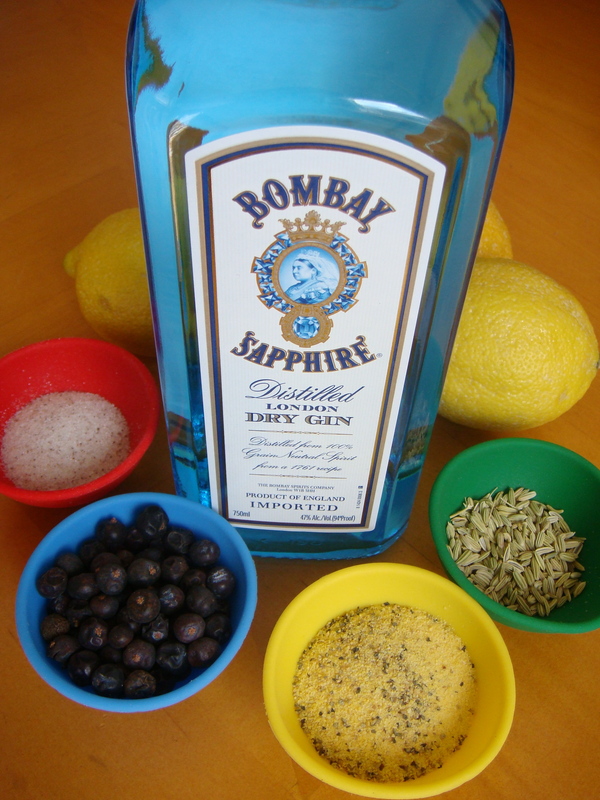 Prontelli’s spice rub, which also works well with pork, lamb, and chicken, contains juniper berries and lemon peel, two of the botanicals Bombay Sapphire uses in its gin. The spices on the meat blend delightfully with the summer-y Sapphire Collins cocktail, which I modified by nixing the traditional simple syrup and using a less-refined sugar. Toasting the juniper berries and fennel seeds really releases their warm, sensual aroma. By themselves, these two spices have a woodsy licorice taste, but when combined with the rest of the spices, are more subdued and help create a richly layered flavor to the meat. 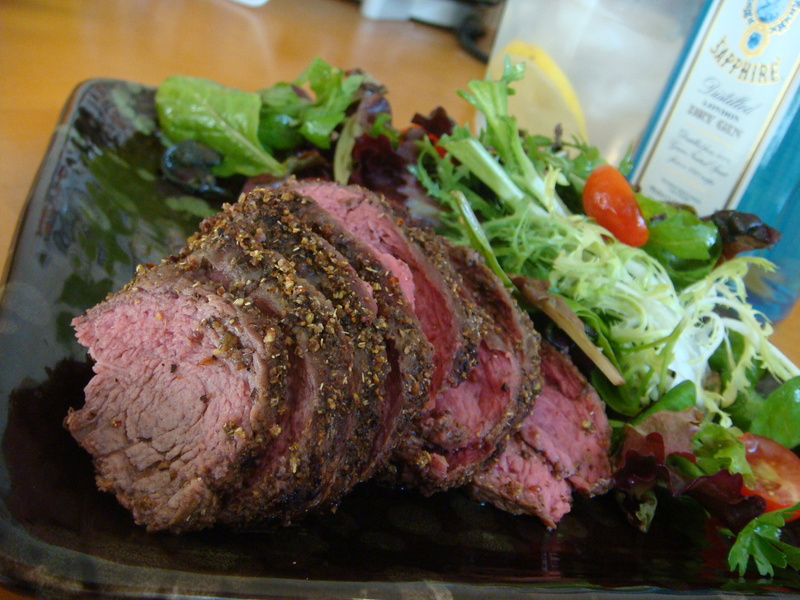 Using lemon-pepper seasoning gives the dish a touch of citrus that makes the flavor of the meat really pop. I seared the steak first before finishing it in the oven, but it can be prepared on the grill too. In either case, make sure you reserve some of the spice to sprinkle on the meat after it’s sliced since some of it will come off during cooking. Here is most of the segment that appeared on Sunday’s show. You’ll learn some great tips and helpful information. Unfortunately, the folks at NBC didn’t include it on their website, so I videotaped the recording on my TV. Not the best quality, but it’s better than nothing! 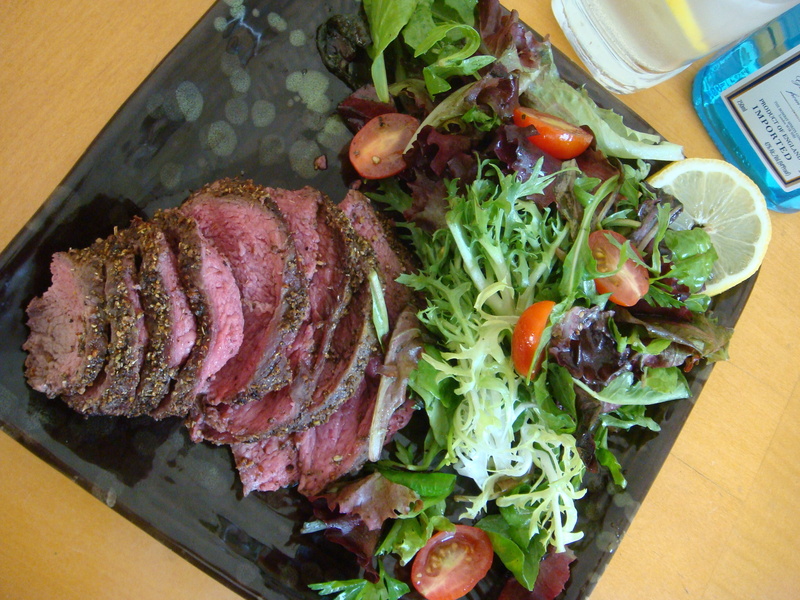 Grass-fed meat of your choice – I used beef tenderloin here. Let steak come to room temperature before using so meat will cook evenly. 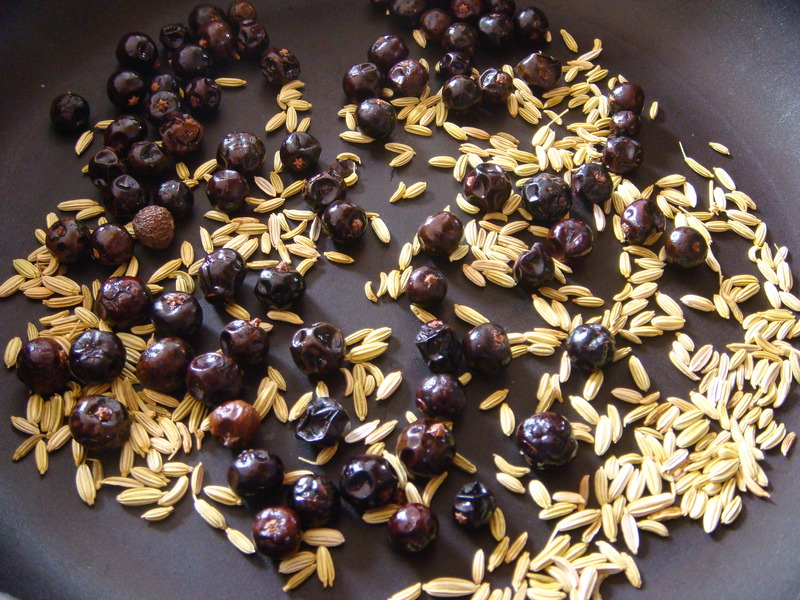 Dry-toast the juniper berries and fennel seeds in a skillet for a few minutes until they release an aromatic fragrance. Thoroughly grind juniper and fennel in a spice grinder. Combine with the remaining spices. 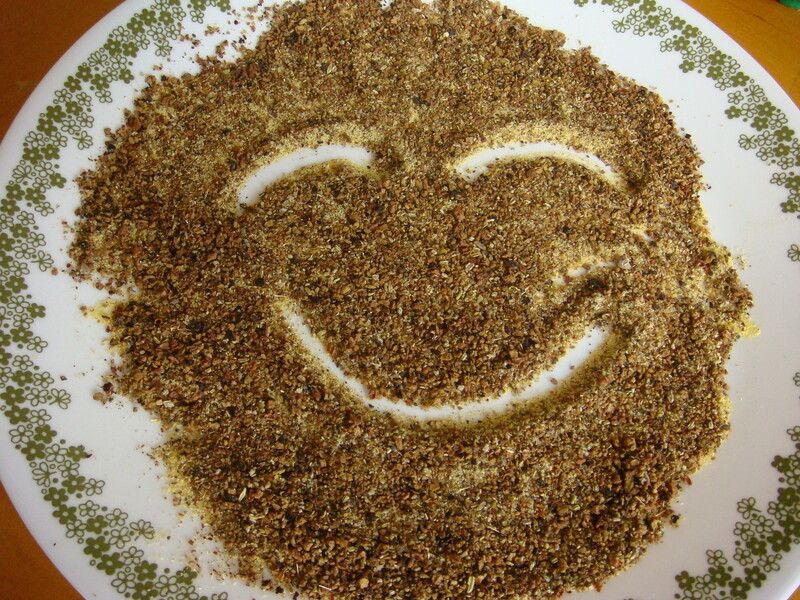 Reserve a few pinches of the spice mixture to sprinkle on meat before serving. Preheat oven to 350°F (or preheat grill). Roll meat in spice mixture until a thick crust forms. If grilling, ignore skillet and baking pan references and just do your thing! Place in skillet and sear on all sides for about a minute or until browned. 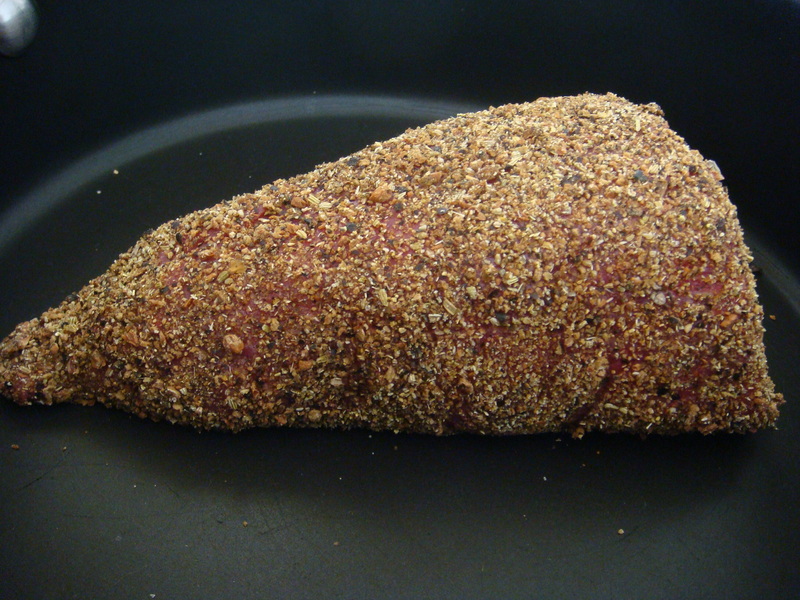 In a baking pan, finish cooking meat until reaches desired internal temperature. Keep in mind that meat will continue to cook after removed from heat. Remove meat from oven or grill and let sit for 10 minutes or so before slicing. If you’re using red meat, this will prevent the meat from bleeding out when you cut into it. 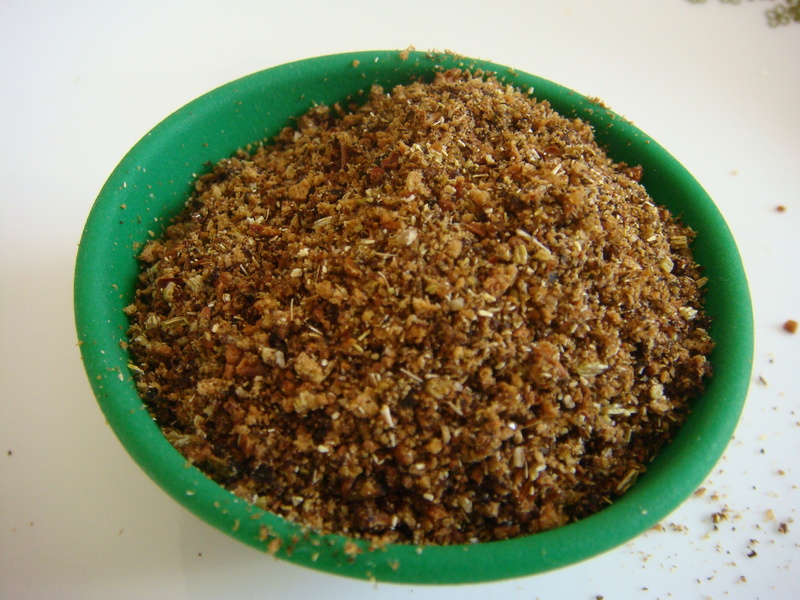 Sprinkle a bit of reserved spice mixture on top of slices before serving. I served the steak with herb greens and tomato. The dressing is Meyer lemon-flavored olive oil and lavender balsamic, sprinkled with pepper and sea salt. The next day, I used the leftover steak and salad to make a tasty wrap. I’m thinking I’ll cook a bigger portion of steak next time just for the leftovers…equally delicious cold! Can’t wait to try this spice rub on other meat as well. 1 part sugar syrup – Make a less-refined syrup by dissolving 2 tablespoons sucanat (organic whole cane sugar) in a little water. Depending on how sweet you like your cocktail, this will make enough syrup for one or two drinks. You could also use raw agave nectar or a little stevia by themselves instead of the syrup. Pour equal parts lemon juice and syrup in a glass (or pitcher). Add desired amount of gin. Either use a jigger to measure the alcohol, or use a pour spout that you can attach to the bottle. Here’s a video explaining how to free-pour. Fill glass or pitcher with soda water and gently stir with a long spoon. 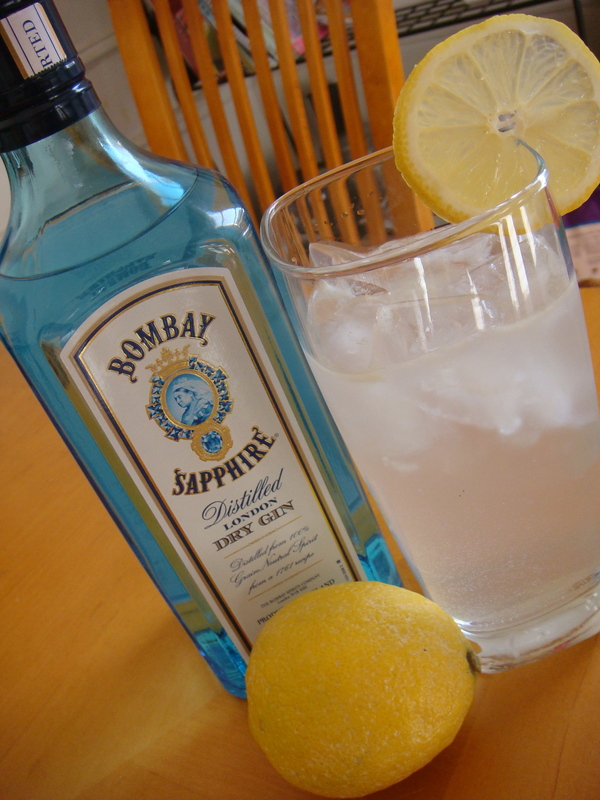 Garnish each glass with lemon wheel or twist, if desired. Terri, I got mine at my local health food store–and it’s pretty small–so I assume they would sell it at Whole Foods, or at a place where they carry more than just generic items.